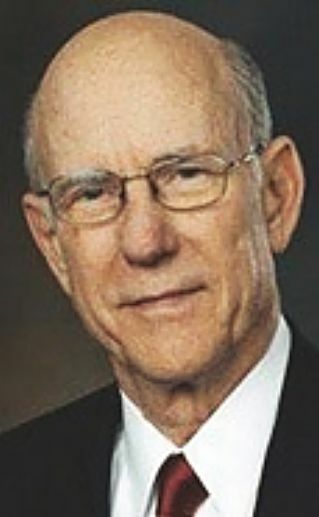 Senate Agriculture Committee Chairman Pat Roberts, R-Kan., said Thursday he wants to revive the Senate bipartisan child nutrition reauthorization legislation that failed to become law in the 115th Congress. Asked after a Senate Agriculture Committee organizational meeting Thursday about statements by House Agriculture Committee Chairman Collin Peterson, D-Minn., that he wants to pass reauthorization of the Commodity Futures Trading Commission and the Pesticide Registration Enhancement Act, Roberts said he wants to pass both of those and "add in child nutrition." When The Hagstrom Report pointed out to Roberts that the House Education and Labor Committee, not the House Agriculture Committee, is in charge of child nutrition programs, Roberts said that even though Peterson is not in charge of those programs "all the children in Minnesota" are depending on him. In the 115th Congress, Roberts and ranking member Debbie Stabenow, D-Mich., developed a bipartisan bill to reauthorize child nutrition programs including the school meals program. But the House Education and the Workforce Committee, as the Republicans named it, developed a very different bill that included an experimental block grant to the states for school meals that was unpopular with nutrition advocates. Roberts has spoken frequently of his faith in that Senate bill, and praised both Republican and Democratic Senate staff for their role in developing it. A spokeswoman for Stabenow said she "would certainly work with Chairman Roberts on bipartisan child nutrition reauthorization." House Education and Labor Committee Chairman Bobby Scott, D-Va., has not announced any plans on child nutrition, but has published a page on the Democrats' principles on child nutrition. The 2010 Healthy Hunger Free Kids Act reauthorized the child nutrition programs for five years. Even though that law has expired, the programs continue under appropriations. The Trump administration has pulled back on a few regulations through federal rulemaking.